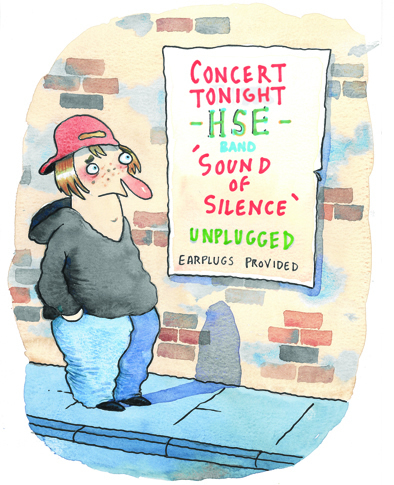 No, audiences don't have to wear earplugs! Going to noisy concerts is their choice. The laws are there to protect people who have to work in loud places. Concert staff are at more risk of suffering hearing damage because they regularly work in high levels of noise. That is why employers should make sure they provide protection – this could be as simple as moving staff away from the noisiest areas, or providing suitable earplugs. Hearing loss is preventable, so it's important to protect people to help them enjoy long and successful careers. The laws are there to control real risks to workers – not to take the fun out of concerts.